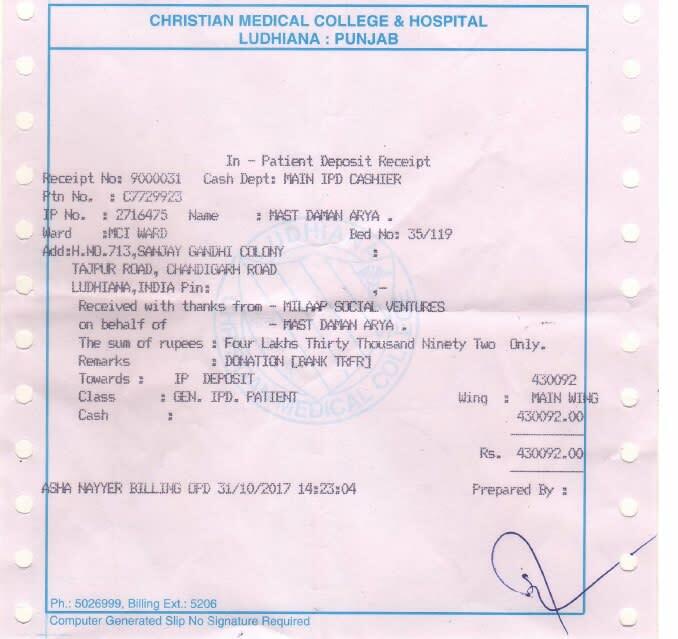 His treatment requires 4 cycles of chemotherapy followed by bone marrow transplantation accounting to total cost around 25 lacs. 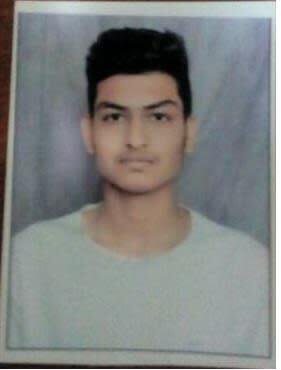 He is in class 11th and also a volunteer for teaching children of financially weak families but unfortunately is hit by blood cancer. His father sold his shop which was the only bread and butter for their family and spent on the initial treatment and now he is jobless and can't afford such an expensive treatment so he require some financial help to meet this amount. Daman also have one younger sister who is still studying. Our single effort can bring a person back to life from the well of death. 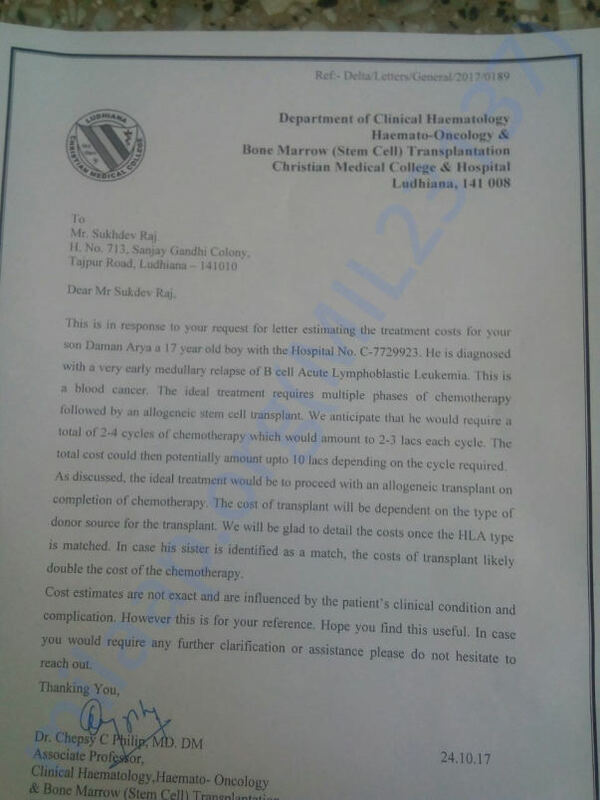 Daman has given so much to the society at such an early age and now seeking help of society to support him fighting with blood cancer. So lets come together to help this young boy. For every contribution made to Daman's fundraiser FROM October 25 until October 31, Milaap will add 25% of your donation. 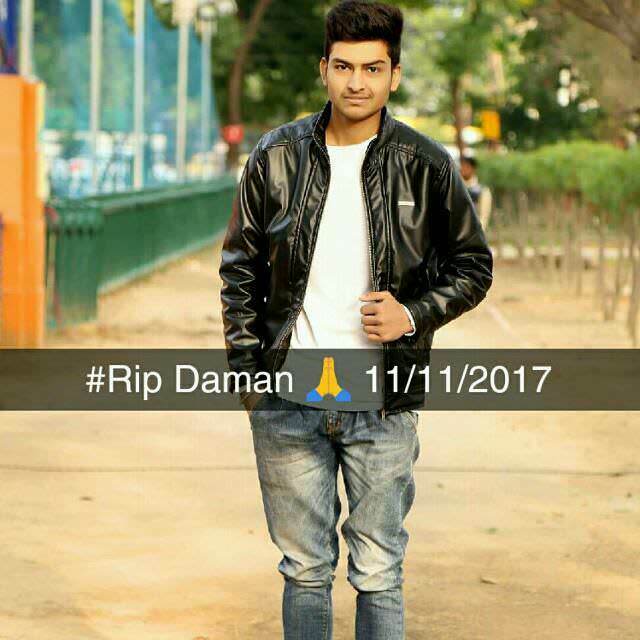 With a heavy heart, brimming with profound sorrow and grief, we are deeply saddened to inform you about the untimely demise of Daman. We express our deep and heartfelt condolences to the sorrowing family and joins in their prayers. Let our Lord Almighty to take the departed soul to his Heavenly Abode and give the entire family strength to bear this irreparable loss. We are thankful to all the donors who supported Daman till his last breath in his tough fight against cancer. We will raise more campaigns in future to save many other like Daman in our society and anticipate for your support in their tough fight. = ₹ 609,659 ( total amount received from MILAAP after Deductions ) for Daman. 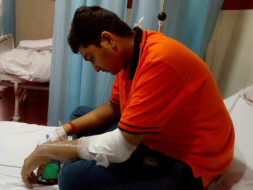 I am really very thankful to all of you for supporting us, now lets pray for Daman's health. I am very pleased to see the overwhelming response from everyone on the name of humanity for Daman. I am very thankful to all of you. 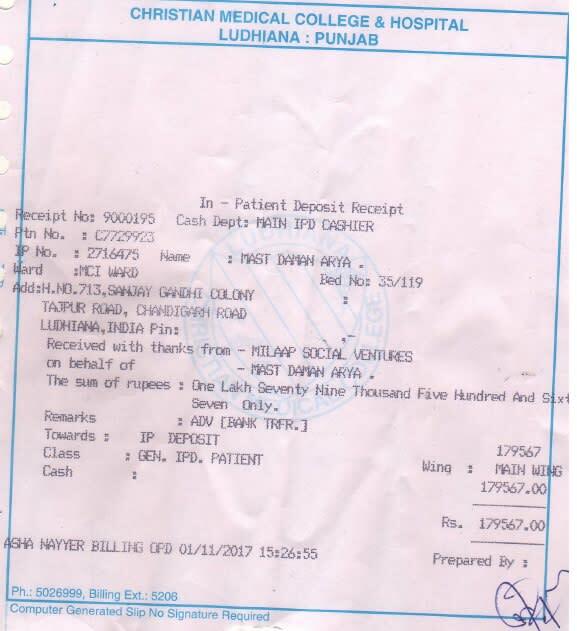 As we cleared our first stage of treatment by collecting money for all cycles of chemo. So I will be putting this campaign on hold, till further instructions from hospital about the treatment. Will be posting the CMC hospital payment receipts in-lieu of the total collection for this campaign. I really thank all of you again for joining our hands to SAVE DAMAN.